One of my goals for 2013 is to memorize more Bible verses. In fact, I set a goal to memorize 52 new verses by the end of 2013. As this year draws to a close, I am finding my motivation fading. As a psychologist, I know how rewards can be used to motivate and help keep focus on a goal. So I decided on a reward to to give myself at the end to keep me motivated. After a search on the internet, I found the perfect reward! Kelka Jewelry offers a beautiful gold cuff bracelet that you can personalize with any Bible verse. 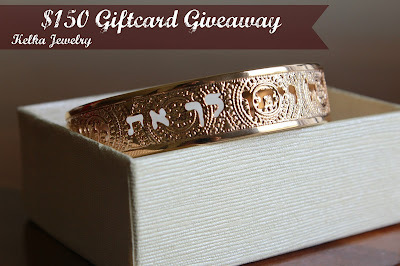 One of the things that made me fall in love with this cuff is the fact that you can have your favorite quote in any language including: English, Latin, Hebrew, or even Aramaic. The cuff is about 6 inches around with about an inch opening but has some adjust-ability for wrists that may be larger or smaller. You can also pick between Rose Gold and Gold. Well, I am off to memorize more Bible verses and to pray that I meet my goal because I think I can so rock this bracelet! Disclosure: Teaching Christ's Children did not receive compensation for this giveaway. Facebook, Twitter, and Pinterest are in no way associated with this giveaway. Prize fulfillment and shipping will be handled by Kelka Jewelry.